Photographs have the ability to transport us back in time, and can capture moments in history that should be seen or remembered. 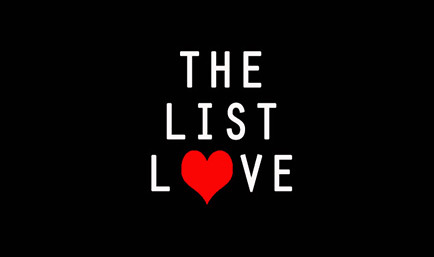 The List Love has shared a number of very rare photographs from history over the past few months, and so we wanted to provide our readers with 10 more. 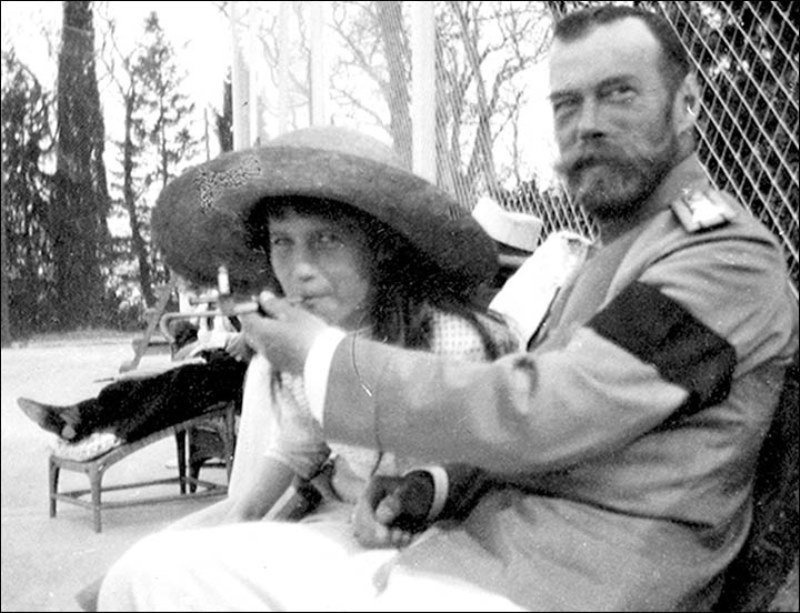 Here are 10 rare photographs from history. 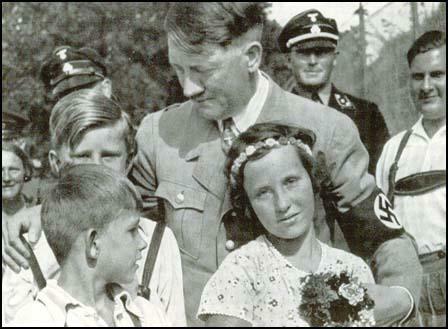 Adolf Hitler believed German children were the future of Nazism. Here he can be seen talking happily to young children. Even drug kingpins go on holiday. 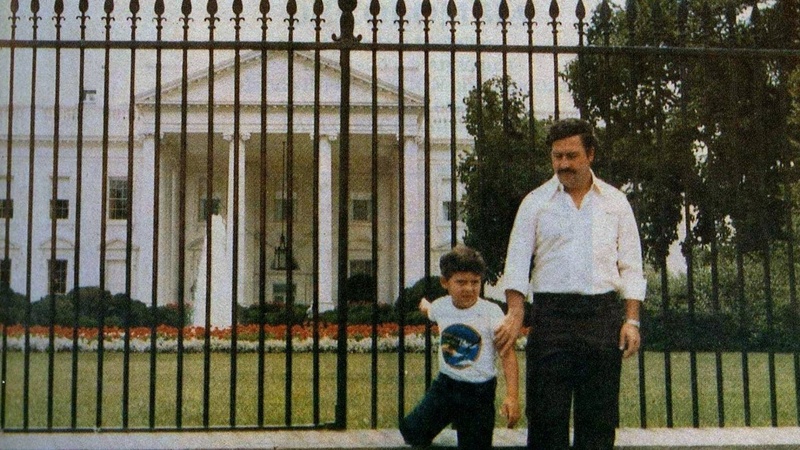 Here is Pablo Escobar standing in front of The White House with his son in the early 1980s. 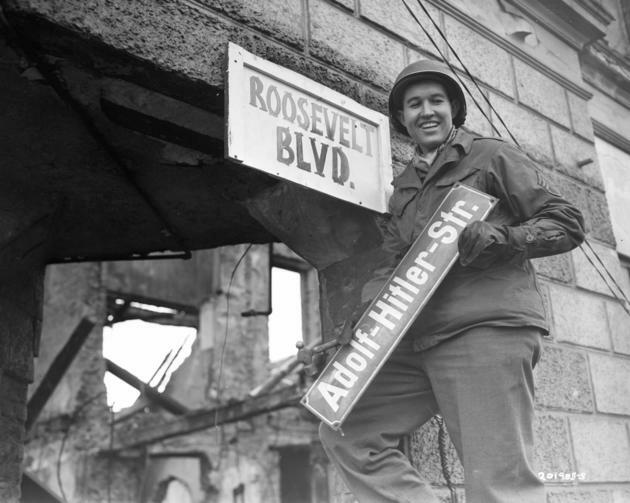 An American soldier happily replaces the “Adolf-Hitler-Str.” sign with a “Roosevelt Blvd.” sign in Berlin, Germany back in 1945. The start of Google. 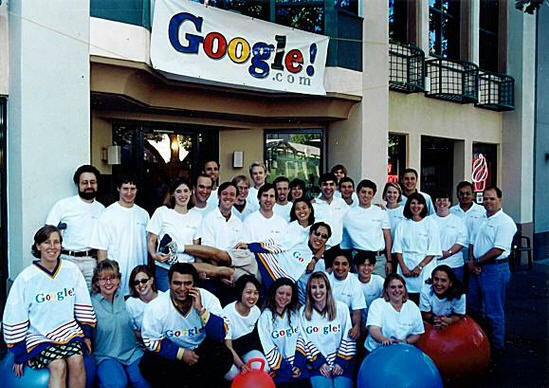 A rare photo of the team behind the global search engine. 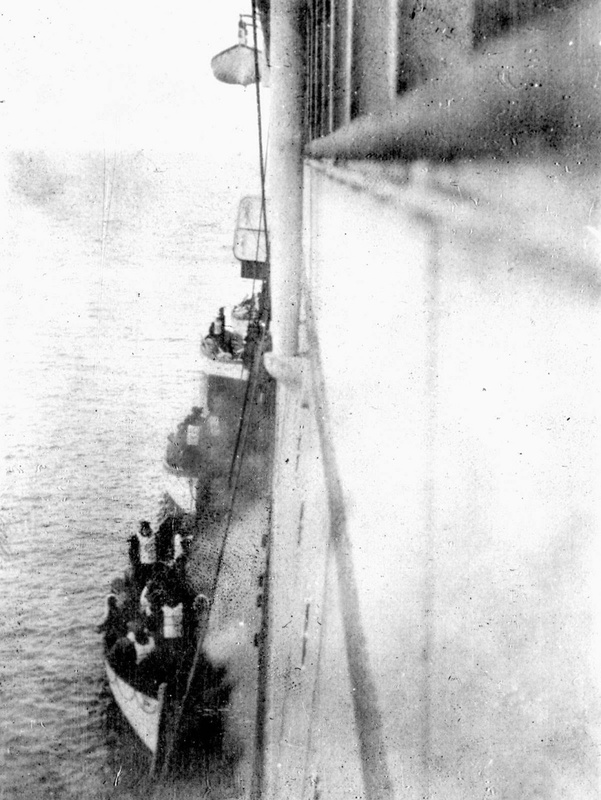 Here the RMS Titanic survivors board rescue ship RMS Carpathia. Over 1,500 people lost their lives on 15th April, 1912, after the ship collided with an iceberg and sank 400 nautical miles from Newfoundland, Canada. Only 705 people survived the maritime disaster. 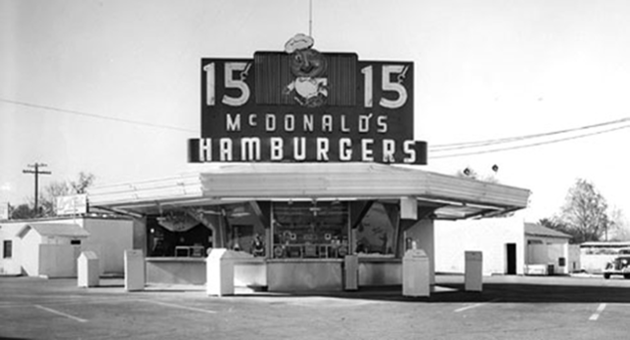 This is one of the first McDonald’s restaurants in the world and it opened in 1948. 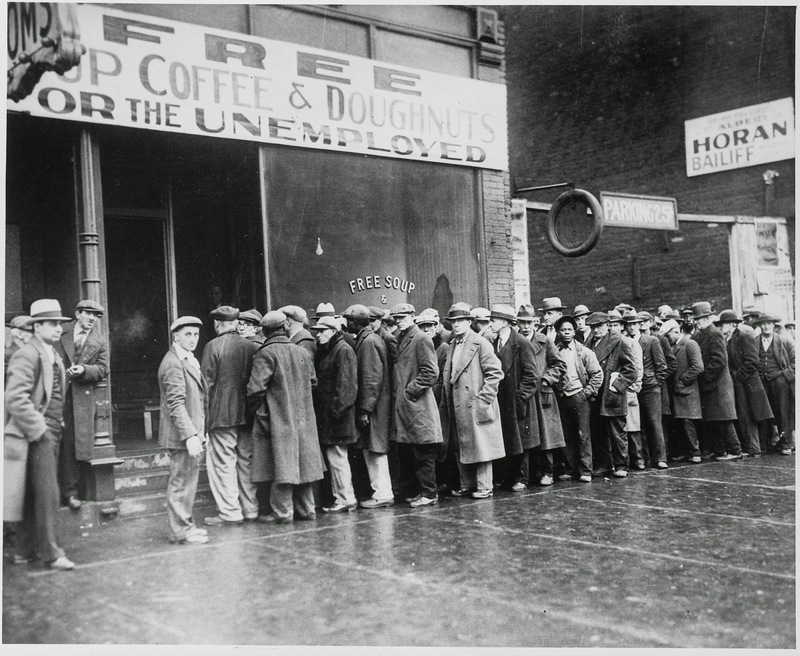 Al Capone was a notorious gangster who made his fortune during prohibition from bootlegging. He was, however, very charitable to the community, as he used to some of the money from his criminal enterprise to offer one of the first soup kitchens. Here is the photo to prove it. 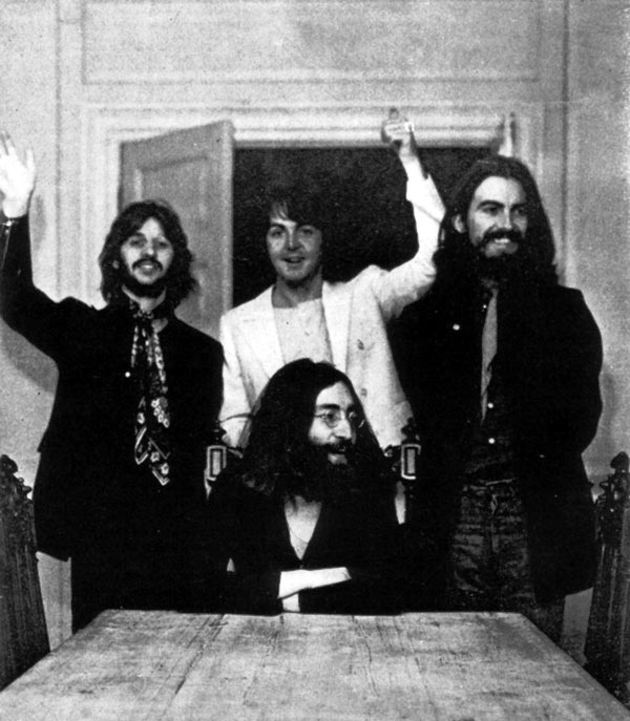 This is the last photograph of all four members of The Beatles together. It was taken on 22nd August, 1969. 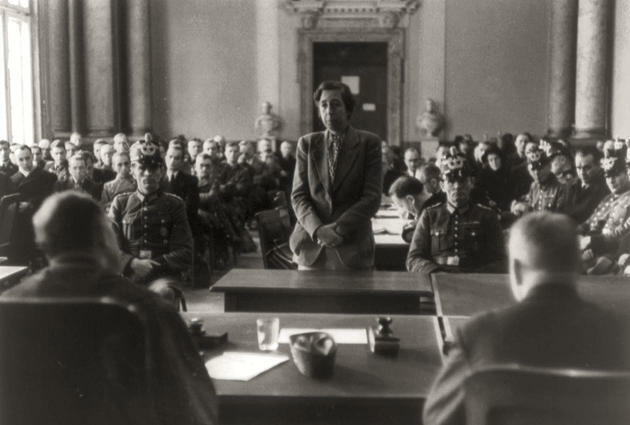 Elisabeth “Lilo” Gloeden stands on trial in 1944 for her involvement in the assassination attempt on Hitler’s life. Do you love historical photos? Take a look at 10 Pulitizer Prize Winning Photos and Their Back Stories. Don’t miss our future top 10 lists and follow The List Love on Facebook, Twitter and G+.